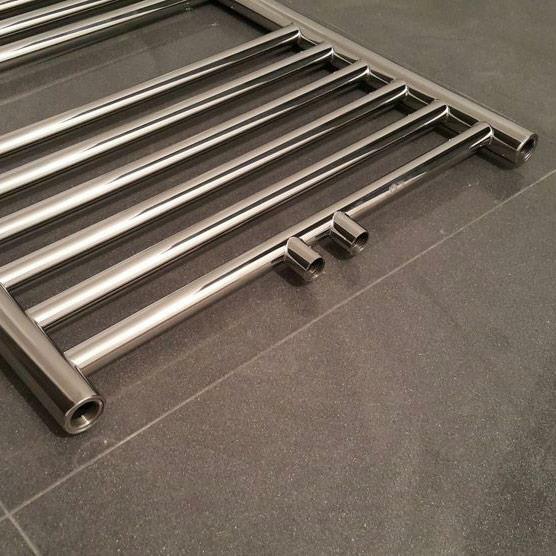 These centre-tapped designer heated towel rails are made from 304 grade stainless steel which prevents rusting even in damp bathroom conditions. 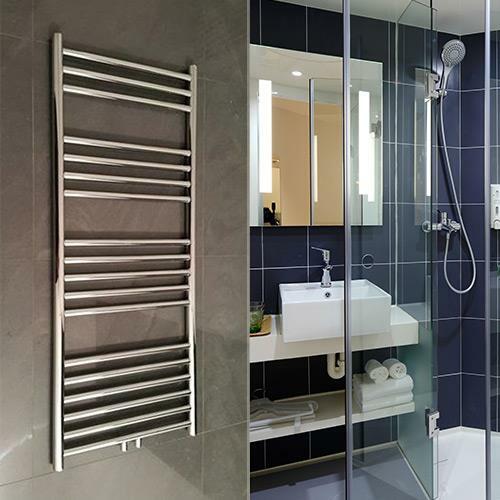 Polished to a mirror-like finish and with brackets mounted on the uprights, it has a high-end look which will suit any bathroom setting and maximise space for hanging towels. 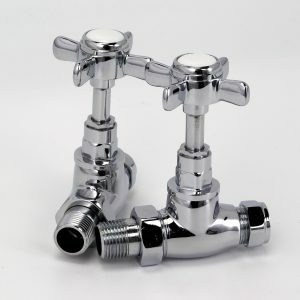 Adding to the boutique look, the air vent and blanking plugs are also mounted on the rear of the uprights for a sleek finish. 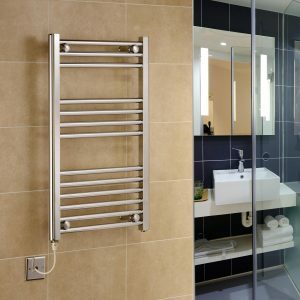 For maximum peace of mind, these heated towel warmers come with a 10 year guarantee.. 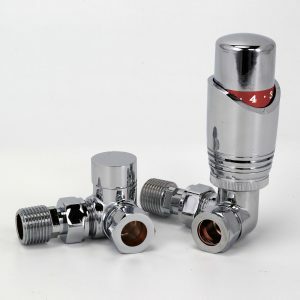 This centre-tapped version of the Riga range has centrally located valves rather than valves being positioned at each side. 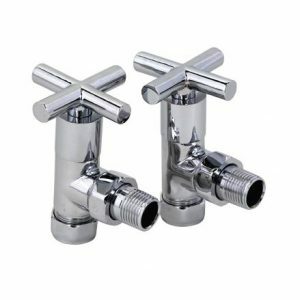 This style makes installing new pipework much simpler and easier to align.